A bristle worm is a nocturnal, segmented worm from the family polychaete, which means ‘many hairs’ in Latin. One glance at these critters and you’ll know where the scientists who discovered them came up with their name. Most of the bristle worms you will find in a saltwater reef aquarium are scavengers. Most of us will happily pay good money to add a cleanup crew to our reef tanks, but we often raise an eyebrow in suspicion at the lowly (and generally unattractive) bristle worm–the hard working hitchhiker that cleans up the detritus in our tanks to help keep your aquarium water pristine but gets no respect. Where do bristle worms come from? What do bristle worms do? Are bristle worms dangerous to humans? Are there good and bad bristle worms? Is having too many good bristle worms a problem? Should I remove the bristle worms? Like all living things, bristle worms come from their parents…but they probably found their way into your tank by hitchhiking their way in on a piece of live rock. 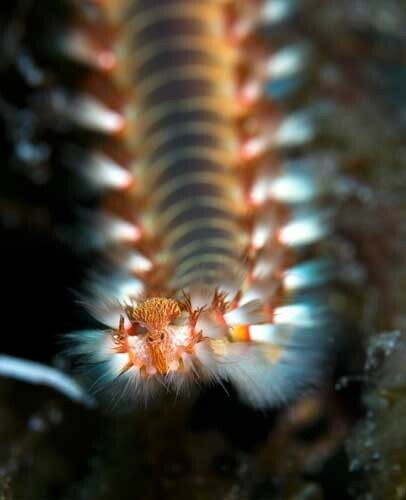 Bristle worms like to hide inside the crevices of live rock and commonly find their way into saltwater reef tanks by this method. Bristle worms do the job that nobody else wants to do. They are the cleanup crew that removes the dead bodies and decaying biomass in the tank. No kidding. They do the work that a cleanup crew should do, with none of the fanfare and none of the fame. One of the most common questions I get is: are bristle worms dangerous to humans? Then answer, unfortunately, is that it depends…and rarely. While that might not be the most satisfying answer for you, right now, please allow me a moment to explain. The vast majority of bristleworms you are likely to encounter in a saltwater aquarium are regular old polychaetes that are NOT dangerous to humans. If you touch the bristles with your bare hands (see my bare hand image below), they can prick your finger, much like if you touched a cactus–but they are otherwise not dangerous…unless, you happen to have the very rare (in captivity) species. Yes, that’s my hand below. It stung. I felt dumb because I wasn’t wearing gloves, but otherwise, I was fine. I recommend you watch the videos below to learn about the different types of bristle worms and to see for yourself. While the nature of this article isn’t intended to delve into the ontological merit of these organisms or the philosophical value of a cleanup crew detritivore on the food chain (um, what? ), but the simple answer is that, from a self-interested reef aquarists’ perspective, yes, there are good and bad bristle worms. Luckily for us, the most common variety is the good kind, and the bad kind is very rare. Having too many bristle worms in a reef tank is a symptom of a bigger problem, not really a problem of its own right. You see, if you have a ton of bristle worms, it means you have a ton of dead animals or left-over food rotting in your tank. Because without all that food, you wouldn’t have all those bristle worms. So in one way of thinking about it, the bristle worms are a very, very good thing—because, without them, you’d have very foul water. Instead of having polluted water, you have a zillion bristle worms. Because bristle worms may be in your sand or under your live rocks, it is important to always wear gloves, when you move around rocks or coral frags. 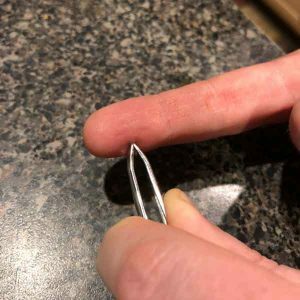 If you’ve ever stuck yourself with the tiny bristles from a cactus (the kind you can get at the grocery store or home goods store)–getting stuck by the bristles of a bristle worm feels kind of like that. Yes. Those are my hands. You can read about that fun experience here. Bristle worms are nocturnal, so the best time to catch them is after lights out. If you want to spy on your bristleworms, you might want to speed the timer for your lights up a bit, over a few days, to give yourself a bit of a cushion, so you aren’t up at all hours of the night. Since the bristle worm is such an efficient member of the saltwater aquarium clean-up crew, most methods of bristle worm removal involve exploiting that natural behavior with bait and a trap. 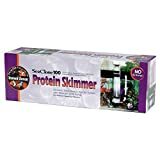 You essentially place some food inside a container that is easy for the worm to climb into but not that easy to get out of. Coralife Trap’Em is a small green tube with openings at either side. The openings are cone-shaped and point towards the inward towards the ‘belly’ of the trap. This creates a large area for the worms to get in and a small area for them to stumble across a way out. Since bristle worms are not great problem solvers, this works out pretty well for the trapper and not so great for the worm. The downside of this trap, in my opinion, is that the opening is so small, it is really only for catching the smallest bristle worms–which is fine, if that is what your problem is, but if you’re trying to catch one of the larger fireworm species, you may need to build yourself a bigger trap. 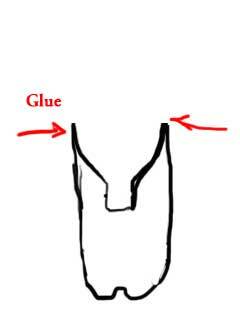 You can make your own DIY bristle worm trap that is similar in design to the Coraline Trap’Em model with a plastic soda or water bottle container by cutting off the top of the bottle right where it stops tapering off, turning that top part upside down and gluing it in place inside of the bottle with superglue and weighing the bottle down with some live rock rubble or sand. This shape is actually great for trapping lots of aquatic stuff. I’ve used that design to catch minnows on vacation too. 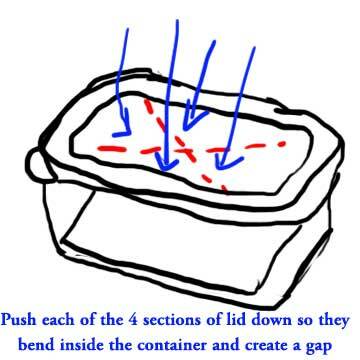 I also found a DIY bristle worm trap design on Reef Builders that involves taking a small, rectangular food storage container with a lid. 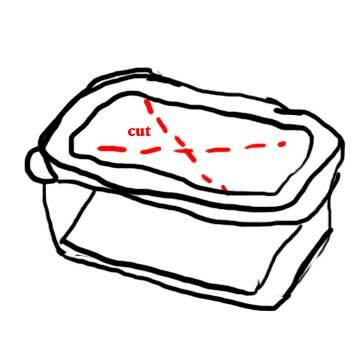 You cut an X pattern into the center lid with a box-cutter tool or a sharp knife. 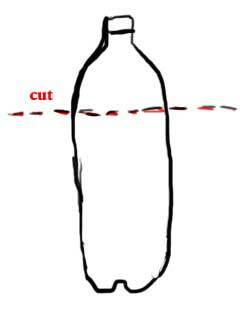 As a result of cuts, you will create 4 triangularly shaped flaps (that are sharp now, be careful). 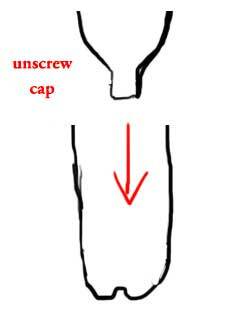 By bending those flaps inward, you create a similar funnel design where it is easier to get in than it is to get out. If you don’t want to physically capture and remove all of the bristle worms in your tank, you may want to look for a natural, biological cure to put pressure on the bristle worm population and keep it in check, so to speak. Arrow crabs, hawkfishes, and wrasses, like the six line wrasse are all bristle worm hunters and will put a serious dent on the bristle worm population in your tank if that is what you are looking for. Just be careful that your treatment isn’t worse than the ‘disease’ you are treating–for example, six line wrasses can be pugnacious little buggers that will harass your other fish–and hawkfish, while awesome, may eat every moving invertebrate in sight. Just because you could remove the bristle worms doesn’t mean that you should. That is a decision that only you should make–but since you asked–I’ll give you my perspective on the matter. Bristle worms are ideally suited to aquarium life. That’s why they grow and reproduce so well in our tanks. It would be rare and unusual for an aquarist to pay money, intentionally, for a bristle worm. 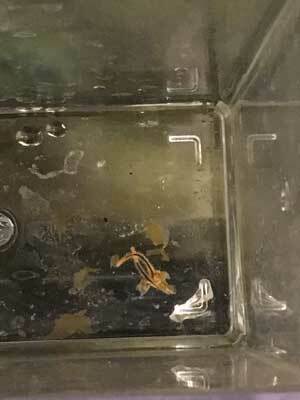 We don’t invite them into our tanks, they just show up. But many of us (I’m raising one guilty hand right now) is a little bit sloppy with our husbandry; we feed a little too much and clean the tank a little less often than we should. The bristle worm population in your tank helps create a little bit of a natural, biological buffer–a cleanup crew that you didn’t intend, but mother nature developed specifically for this purpose. In addition to that, think about all the biological diversity and invertebrate life going on in your tank. 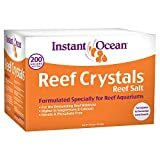 How many rotifers, copepods, stomatella snails, hermit crabs, starfish, and other snails live and die in your tank in a given week, month or year? I suspect you’re pretty good about removing large, dead organisms, like an unfortunate fish–but what about all those other critters? Do you catch and remove them all? Or do you need (or want) a little help? The bristle worm is nature’s cleanup crew, so my vote is that you leave them alone. Monitoring the population should give you some insights into how much waste is really in your tank (and free for the bristle worms to consume), but otherwise, these segmented polychaetes are a good thing, in most tanks. The only time I would recommend removing them is if you have the larger, problematic species–or if you absolutely just can’t stand the sight of them. What has your experience been? You can share it below by leaving a comment. Thanks!